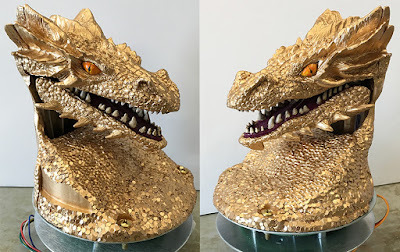 We made several paint jobs for Smaug during the development of it and one of the colors that I get asked to do the most for customers as a mod is the solid Gold version. With that in mind we are offering the smaug gold paint job on our site. This is for a "paint job" and not for a new Smaug. You will need to mail us your personal Smaug to be painted.